In past, the number of personnel in an enterprise determined whether the business was a small scale or a medium-sized enterprise. In today’s era, the difference between small, medium and large enterprises is determined by the number of staff working full time or part time, IT infrastructure, and the strategic managers. A giant enterprise will always have the full-time personnel for IT infrastructure and management of their data in the form of modern bookkeeping. It is very difficult for a small or medium-sized enterprise to survive among giant corporations. Giant businesses are the major players in the market and their promotional budget is huge. As the sales of their products or services is larger, it makes their cost usually lower than the production of small and medium-sized businesses. However, the promotional budget and low prices are not the only factors that affect the customer choices. Quality, efficient services, and the flexibility to produce quality per a customer’s demand all play a part in where a customer decides to open their wallet. 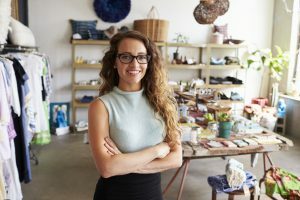 Nurturing a sense of trust among its customers plays a major role in the survival of a small business. If you are an investor in an SME and face competition with a larger enterprise, organized bookkeeping will allow you to assess the strengths and weaknesses of your competitor. Also, you will be able to assess your company’s edge over your competitor. Identify the possible customer’s needs. Offer more personalized services. Show your capability to customize the product or services. Show a quick response to your customer’s needs. Large companies also make the strategic alliance with smaller enterprises to be their subcontractor and, by doing so, will raise the success of both companies. Small and medium enterprises are motivated by a strategic alliance with each other to provide a wider range of products and services to their customers. 1. Reinvent. Take a look at strengths, weaknesses, and open market challenges. Offer new products or services to get market share from that. 2. Keep your costs down even while the big corporations refuse to reduce their costs, even in a period of financial trial. 3. Customize your products and services according to the needs of your clients and customers. 4. Small and medium-sized enterprises often lack the marketing of their services and products. Get creative and find a way to get your name out there, even if it’s only through social media. 5. Reach for a direct/face to face meeting with your customers. This ensures better trust and higher quality relationships with your customers. 6. Healthy competition and good bookkeeping will keep your business going. 7. Get involved in social media and interact with your customers. Updates about promotions and offers attract more potential customers. 8. Keep contact with your customers. Even if the customer stops buying your services or products, contact them. They might come back to new products or for the same old ones. 9. Vigilantly keep an eye over your employees to keep them motivated and on track. 10. Review your business. Identify the changes needed and assess the risks and benefits constantly. 11. Prioritize the list of changes that are to be made in your SME. The changes that have no potential risks must be the top priority. All of the above steps seem simple but can bring a huge change in your business in the long run. Small businesses can never play like giant corporations but they can have their own share of the market.